Chiwetel Ejiofor’s outstanding performance in 12 Years a Slave has not gone without recognition, but there is no one more proud of him than his sister Zain Asher. Steve McQueen’s slavery-era drama 12 Years a Slave is being praised by critics and fans alike, and the hype this film and its cast are generating is truly well deserved. 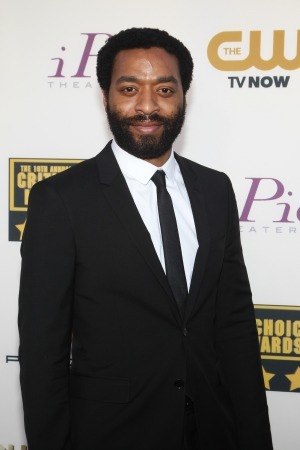 Chiwetel Ejiofor’s outstanding and powerful performance as Solomon Northup has not gone without recognition as already he has received several award nominations. Fans across the globe are now rooting for the 36-year-old actor and hope he is left victorious at the 2014 Oscars. He is in the running for the Best Actor in a Leading Role award. There is no one more proud of Ejiofor’s achievements than his sister Zain Asher, who was overcome with emotion while speaking on live television on Thursday night about her brother’s dedication and passion to the art. While the movie 12 Years a Slave is a real tear-jerker, there are aspects of the British actor’s life that will also leave you feeling deeply emotional. After years in showbiz, Ejiofor finally has made it into the big leagues, but his joy is not without sadness. His sister Asher recalled the death of their father, who would have loved to have seen his son achieve his dream.